Hooks v. Workman, --- F.3d ----, 2012 WL 3140916 (C.A.10 (Okla.), 8/3/2012. 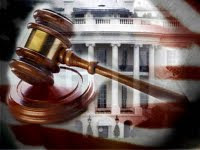 In August, the Tenth Circuit Court of Appeals (COA) granted a habeas corpus petition’s claim of ineffective assistance of counsel, and, at the same time, created bad law for current and future 10th Circuit defendants and petitioners claiming mental retardation per Atkins v. Virginia, 536 U.S. 304 (2002). In one fell swoop, the 10th Cir. 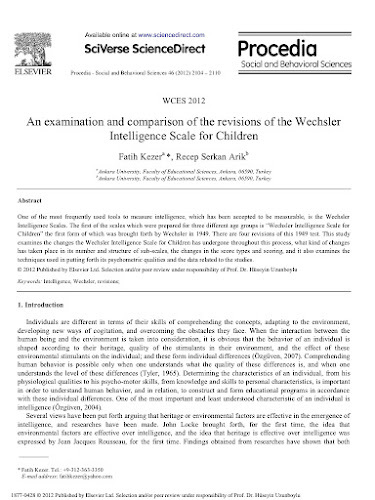 COA barred IQ score adjustment for the Flynn Effect, discredited any meaningful application of the Standard Error of Measurement, accepted the KBIT as a valid measurement of intelligence for Atkins purposes, and adopted the principle that adaptive functioning is defined by weighing adaptive weaknesses against adaptive strengths. In Hooks, the Court of Appeals took the position that the AAIDD’s definition of mental retardation is appropriate for clinical application, but the AAIDD’s recommended diagnostic procedures are not binding in legal proceedings. Hooks greatly undermines the scientific and clinical basis of the diagnosis of mental retardation. Hooks widens the ever-expanding gap between science and the science-like proceedings created by the judiciary which will determine the fate of many Atkins clients. In 1989, Victor Wayne Hooks was tried and convicted by a jury of the capital murder of his pregnant wife and their unborn child. He was sentenced to death. In 2004, an Atkins hearing was tried before a jury. Evidence was presented of IQ test scores ranging from 53 to 80. Experts for the prosecution and defense agreed that some test scores were probably unreliable. These so-called “experts” also agreed that Hooks’s most reliable scores were the K-BIT and the 1994 WAIS-R. There was testimony that the scores from many tests could be adjusted downward for norm-obsolescence, but neither defense expert was willing to endorse adjustment for the Flynn Effect. Defense experts testified that Mr. Hooks’s IQ “was in the gray area” of subaverage intelligence, but was “most likely mentally retarded.” In light of such underwhelming defense testimony, it was not surprising that the jury found that Hooks did not prove that he had sub-average intellectual functioning. Defense evidence showed Mr. Hooks’s adaptive limitations from early childhood to his present functioning in custody. Through their experts, they painted the picture of a child who was developmentally delayed, placed in special education classes and diagnosed as mentally retarded while still in grade school. Mr. Hooks’s limitations in communication, social skills, work, self-direction and academics were documented and extensive. The prosecution presented evidence of criminal behavior as evidence of adaptive functioning. That evidence, along with Hooks’s ability to drive, his ability to have children, his daily reading of the bible, and his letters to his daughters was the prosecution’s case against adaptive limitations. The trial court refused to instruct the jury that intellectual disability is defined by a person’s limitations, and not by his strengths. With no expert evidence lending understanding to the concept of adaptive behavior, the jury found that Hooks did not prove that he had limitations in adaptive functioning. The jury found that Mr. Hooks did not have mental retardation. On appeal Hooks’s conviction and death sentence were affirmed. The jury finding that Hooks did not have mental retardation was affirmed. The habeas corpus petition in Hooks contained few references to current scientific source material. They contain no references to the AAIDD User’s Guide or standards of practice. There was no evidence in the habeas record, either by testimony or affidavit, from scholars in the field of intellectual disability. The scientific basis of MR assessment, including psychometric issues and standards of practice, was never entered into evidence by expert testimony or affidavit. The COA was presented no clinical structure for making a reasonable determination of mental retardation. This vacancy of structure gave the COA carte blanche to create their own definition of mental retardation and their own standard for diagnosis. The K-BIT is a valid measure of intelligence for Atkins purposes. Hooks sets a bad precedent for 10th circuit defendants and petitioners who assert protection from the death penalty under Atkins. With Hooks in the 10th Circuit, and In re Briseno, 135 S.W.3d 1 (Tex.Crim.App.2004), in Texas, we are seeing an ever widening gap between legal and clinical standards for the determination of mental retardation. The COA granted Mr. Hooks’s claim of ineffective assistance of trial counsel in the sentencing phase of his case. The COA determined that Mr. Hooks’s counsel did not prepare or present material in mitigation. The COA did not find that Hooks’s counsel was ineffective in his Atkins proceedings. Barring successful appeal of the Atkins issue to the U.S. Supreme Court, the determination that Mr. Hooks does not have mental retardation is final. It is unlikely that the Atkins proceedings will be appealed. [i] Nancy Haydt is an attorney practicing in California and Colorado. Her research includes a nation-wide database of Atkins cases. "Neurotechnologies at the Intersection of Criminal Procedure and Constitutional Law"
A new article by Professors Brian D. Shannon (pictured) and Victor R. Scarano examines the ethical implications of mental incompetence among death row inmates, particularly with regards to forcible medication. According to the authors, cases involving incompetence to be executed and forced medication pit "the ethical duties of the medical and legal professions in opposition and [cast] a shadow over the legitimate and appropriate intentions and professional responsibilities of physicians and lawyers." While the U.S. Supreme Court has ruled that mentally incompetent prisoners cannot be executed, only lower courts have ruled on the issue of forcing death row inmates to take medication with the purpose of rendering them competent for execution. The article concludes with a legislative recommendation that would "obviate the ethical dilemma" of forcible medication: "upon a determination by the trial court that the defendant is incompetent to be executed (and following any appeal), the court should vacate the death sentence and substitute a life sentence without the possibility of parole," thus allowing psychiatrists to "proceed to treat the symptoms of the inmate's serious mental illness, without the ethical concern that such treatment could lead to the inmate's execution." See Mental Illness and Death Row. A copy of the above titled article can be accessed at the link provided. It has been added to the Law Review Article blog sidebar at the ICDP blog. "Challenging the Death Penalty with Statistics: Furman, McCleskey and a Single County Case Study"
In the forty year history of the Supreme Court's modern death penalty jurisprudence, two cases — Furman v. Georgia (1972) and McCleskey v. Kemp (1987) — stand out above all others. Both cases turned on the Court's consideration of empirical evidence, but they appear to have reached divergent — even altogether inconsistent — results. In Furman, the Court relied on statistical evidence that the death penalty was infrequently applied to death-eligible defendants to hold that the Georgia death penalty scheme was unconstitutional under the Eighth Amendment. In McCleskey, the Court, despite being presented with statistical evidence that race played a significant role in death-charging and death-sentencing in Georgia, upheld the revised Georgia scheme and McCleskey's death sentence against Equal Protection and Eighth Amendment challenges. The McCleskey decision called into question the use of statistical evidence to challenge the death penalty. In the present article, we report on a unique empirical study of the administration of the death penalty in Alameda County, California — the largest single-county death penalty study and the only study to examine intra-county geographic disparities in death-charging and death-sentencing. The data set, drawn from 473 first degree murder convictions for murders occurring over a 23-year period, compares death-charging and death-sentencing in the two halves of the county. During the study period, the two halves differed significantly in racial makeup — the population of North County was over 30% African-American, and of South County less than 5% African-American; and the two halves differed in the race of homicide victims — in North County, African-Americans were homicide victims roughly 4.5 times as often as Whites, while, in South County, Whites were homicide victims more than three times as often as African-Americans. The study reveals that there were statistically significant disparities in death-charging and death-sentencing according to the location of the murder: the Alameda County District Attorney was substantially more likely to seek death, and capital juries, drawn from a county-wide jury pool, were substantially more likely to impose death, for murders that occurred in South County. We argue that, McCleskey notwithstanding, statistical evidence such as the "race of neighborhood" disparities found in the present study should support constitutional challenges to the death penalty under both the Equal Protection Clause and the Eighth Amendment. 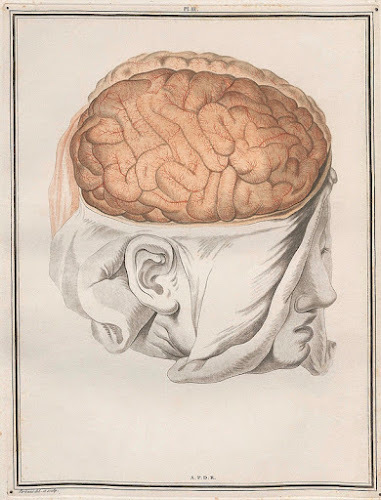 Compensation Neurosis: A Too Quickly Forgotten Concept? Firearms Inquiries in Florida: "Medical Privacy" or Medical Neglect? Testing one two three? Inserting old brain drawing as test. [The Supreme] court goes to extraordinary lengths to get ready, and its point person is a staff lawyer named Danny Bickell. "Cases where there is an execution date," he said with a sigh, "that's where I come in." Mr. Bickell's formal title is emergency applications clerk, but capital defense lawyers have an informal title for him, too. They call him the death clerk. In remarks at a conference of lawyers specializing in federal death penalty work..., Mr. Bickell provided a rare inside look at the Supreme Court's oversight of the machinery of death in the United States. It starts with a weekly update. "Every Monday morning," Mr. Bickell said, "I put out a list to the court of all the executions that are scheduled in the country in the next six or seven weeks, and that gets distributed to all of the justices." The Supreme Court clerk's office is famously helpful to lawyers who have questions about the court's rules and procedures, but in capital cases it goes further. "As the date approaches," Mr. Bickell said, referring to impending executions, "I will be in touch with the attorney general's office. I will be in touch with you, if you are representing the inmate, and with the lower courts, trying to figure out what is pending below and what is likely to make its way up to the Supreme Court. [I]ndividual justices almost never rule by themselves on requests to halt executions. "I would say 99.9 percent of the time the circuit justice is going to refer the application to the full court, and all nine justices are going to act on the application [for a stay]," Mr. Bickell said. He added that the court always makes sure it can rule on such applications in time for its decision to matter, even in states not inclined to wait for word from the justices. "The court won't always act on it by 7 o'clock," he said. That hour, 7 p.m., is important because it is when Texas executes people, Eastern time. The state has executed seven inmates this year. "If we're getting to the point where we're short on time — it's 6:30 or 6:15 for a scheduled 7 o'clock execution — I will call my contact" at the state attorney general's office to see "whether they're going to go forward with the execution while the case is pending or if they're going to hold off and wait," Mr. Bickell said. If the state will not wait, the court will give itself time to think and to vote. That responsibility again falls to the justice in charge of the judicial circuit. "If we're told they're going to go forward with it and they're not going to wait," Mr. Bickell said, "the practice of the court recently — this has happened with Justice Thomas a few times last term — is the justice will issue a temporary interim stay." Justice Clarence Thomas oversees the 11th Circuit, which covers Alabama, Florida and Georgia. First post to test the automatic inclusions of various "share" social media buttons to the bottom of all posts. Hope it also works when I post from iPad and iPhone.